The Vivitar 3000 AF Slide Projector is in good cosmetic condition. I ran several random slides through it forward and reverse without any issues, the remote is a wired remote. A demonstration video is posted on YouTube with link below. 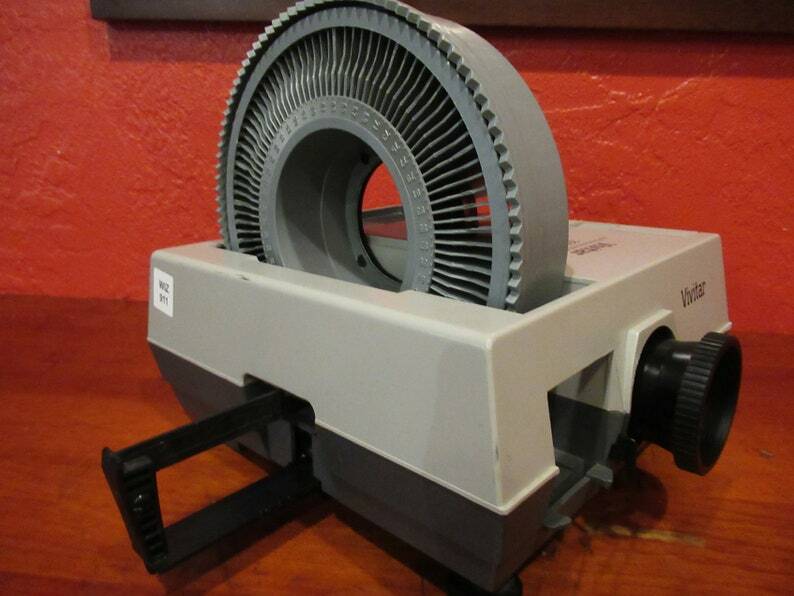 This Vivitar Slide Projector is sold as used, as is, as shown. Includes: Vivitar 3000 AF Slide Projector, and 1 Carousel Tray, slides are not included.